Generally speaking games based on movies are hastily cranked out affairs design to sucker kids and pushover parents into thinking that somehow the experience of the film can be replicated in the cheaply produced game. However, Disney movie games can and should be counted on for a little more. After all, the company has produced a few pretty fantastic games themselves over the years (Castle Of Illusion, anyone?) and if you haven’t noticed they seem to put a lot of energy into merchandising. Last year their decent Cars 2 racing game was actually better than the movie (though to be fair all that took was shutting up Larry The Cable Guy’s character for a while). This year they’re dropping another Pixar adaptation and it is decidedly not as good as the movie. Then again, most other movies aren’t generally as good as what the good at Pixar produce every year, so that’s not too much of a surprise. For what it is, Brave isn’t bad. Certainly not something worth rushing to pick up, but if you have a youngin’ kicking around who loved the movie and needs a little more, you can at least buy this thing knowing their childish dreams won’t be crushed. For the most part you play as Merida, but there are several interludes where you play as her mother the bear. These are essentially rampage levels and she’s got far more strength than her daughter with being a bear and all, so they are fun little breaks in the main action. 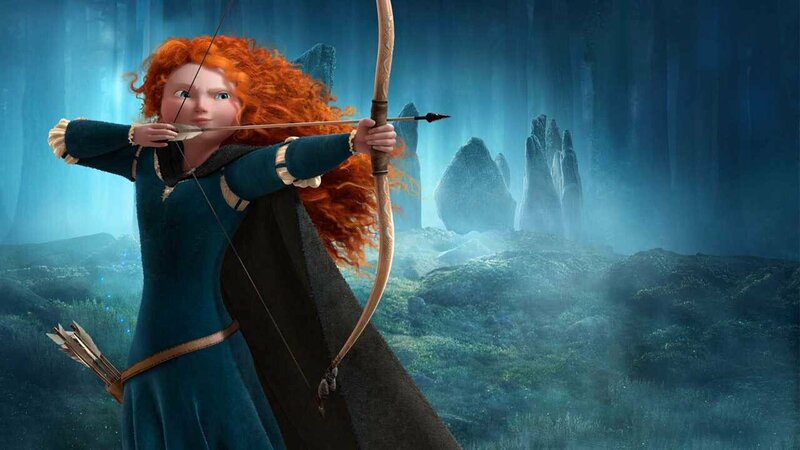 As Merida you’ll have a sword for mêlée attacks and a bow and arrow accessible with the right joystick for long range attacks. Pretty simple combat controls, the kind of thing that developers keep returning to because they work, damnit. As the game goes on, you’ll also earn magic attacks based on the elements (water allows you to freeze enemies in ice, earth attacks spawn explosive sprites, and I dare you to guess what fire attacks do). The magic attacks allow just enough variance for creative boss n’ baddy designs, but never forget this is a kids game. It’s all very simple and without much challenge. All 8 stages can be knocked off in about five hours. For the target audience I’m sure that will work just fine, but don’t expect an experience that’s even as deep as the recent Lego Batman 2. There are also a few Kinect-based motion mini-games that I wasn’t able to try given my archaic non-Kinect gaming ways. I’m sure they are just as easy to play and beat as the campaign itself.find ways to connect. That’s movie stuff. Games like this are more about smashy-smashy. On a technical level, movie tie-in games are rarely up to snuff because of how quickly they are produced. That’s just part of the deal and unfortunately it’s particularly noticeable in Brave given that the time-strapped designers were trying to replicate some of Pixar’s most gorgeous and complicated CG animation to date. The game does not look like the movie. That was a given though and it at least looks ok. There are irritating frame rate issues that pop up whenever there are large landscapes to be viewed (which sadly happens a lot). It’s nothing that young gamers will notice, but undeniably distracting for anyone with an eye for that sort of thing. The sound design helps make up for it with a nice mix of immersive sound effects and sweet, sweet Celtic tunes (note: I’m Scottish, you might not appreciate that as much as me). 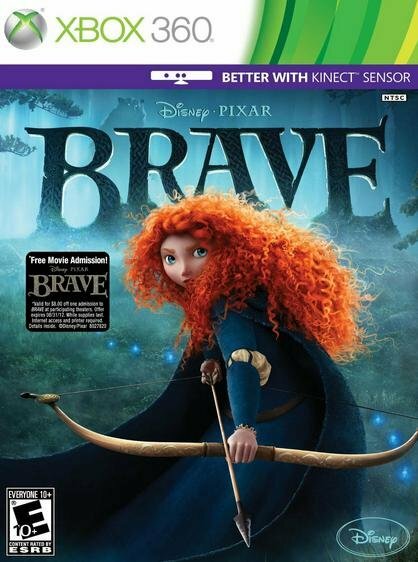 So, overall Brave is a thoroughly average game with no glaring flaws. However, in the wild world of movie tie-in games, that makes it a minor triumph. It’s very brief and offers only a few collectables and mini-games for replay value. That’s not something that general gamers will want to rush out and get their hands on, but at least it’s a game that won’t deeply disappoint kids. Considering folks my age had to get our movie-game kicks on god awful and impossible side scrollers based on the likes of Who Framed Roger Rabbit or Back To The Future, these young whippersnappers of today sure have it made. Definitely worth a recommendation to anyone with children dying to play a game based on the new Pixar movie, but a mild curiosity at best for anyone else. That’s really all you could really ask from this sort of thing. 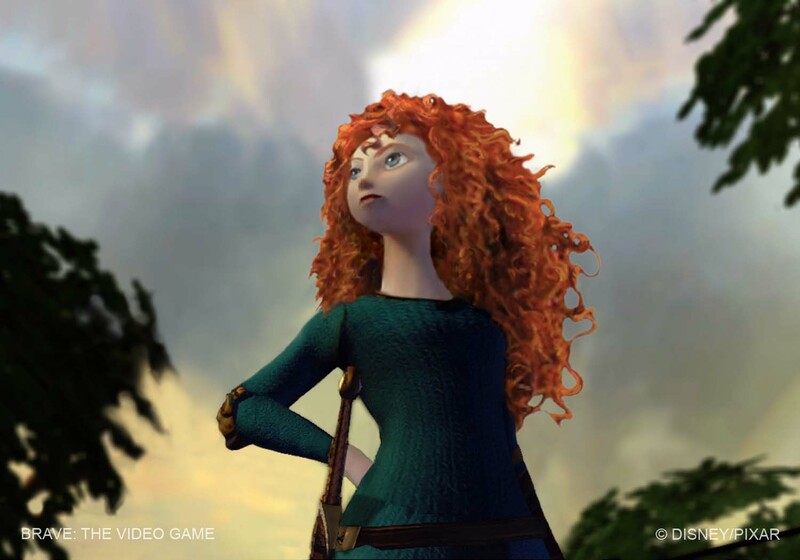 Brave is a thoroughly average game with no glaring flaws. However, in the wild world of movie tie-in games, that makes it a minor triumph.